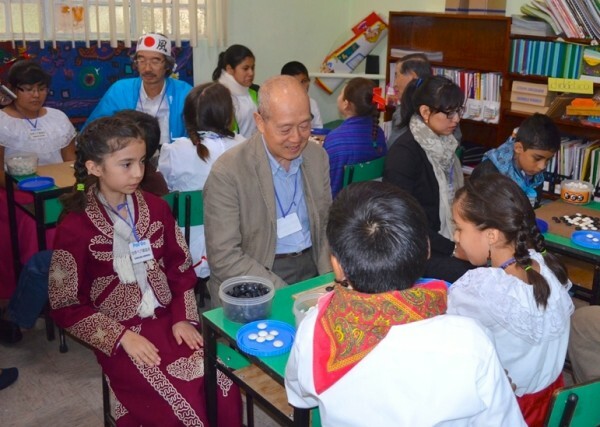 “Mexico gladly welcomed the Sociedad Internacional de Intercambio de Go (SIIG) from Japan, for the first three days of October,” reports Sid Avila. SIIG is a delegation of players, built mainly by retired business men and women, who travel around the world playing and sharing through go. 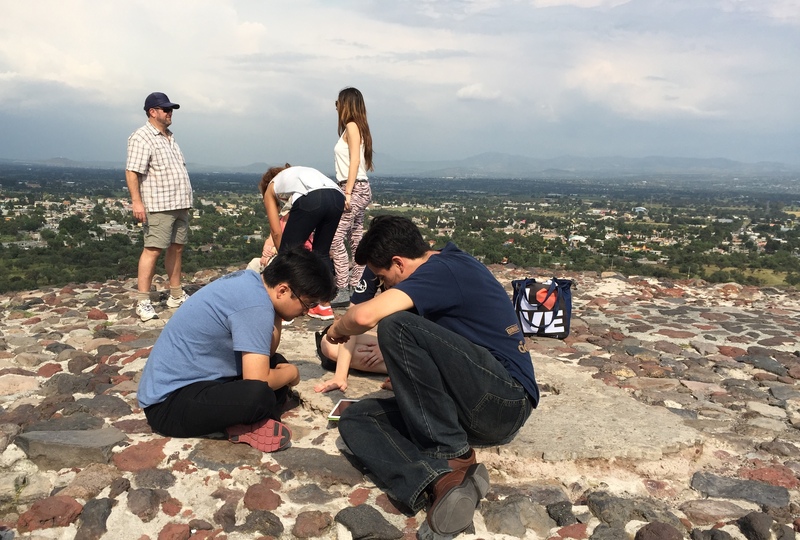 This is the fourth time SIIG has visited Mexico, and they went to three locations on this trip: Pipiolo art elementary school where Siddhartha Avila teaches a curricular go program; National University, where Emil Garcia leads a team of instructors who teach at open workshops; and Ejoki Buddhist Temple where Ricardo Quintero teaches go on weekends. Ms. Marcela Zepeda, the principal of Pipiolo, introduced the Japanese group to the students on the first day. 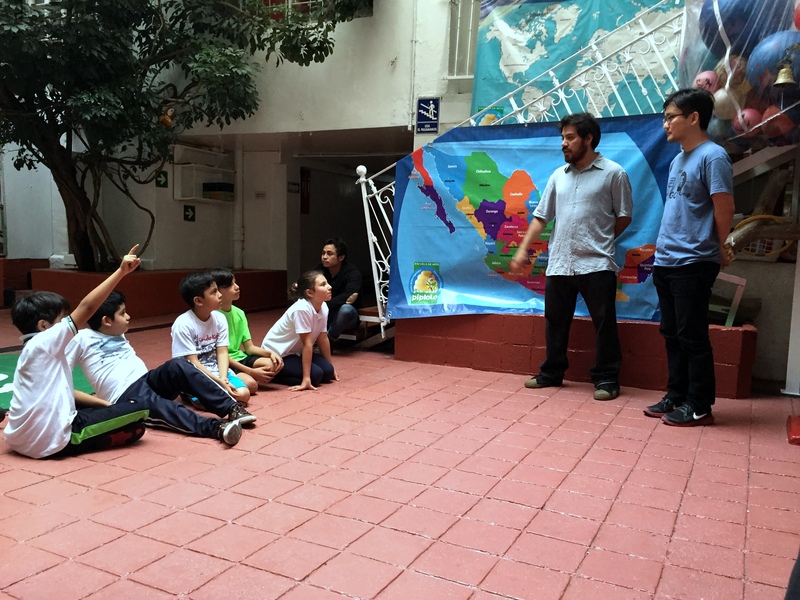 The children performed traditional dances and Mexican songs, followed by a rengo atari-go game with kindergarden children, and a three round pair-go tournament with 36 pairs of Japanese go players and Mexican school children mixed. 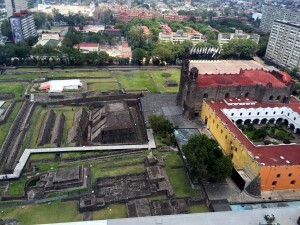 The university venue, on October 2nd, was the Contemporary Arts University Museum square, where a Mexico-Japan tournament was held in a 4 round system. Japan won all four rounds and a crystal tablet was given to SIIG President Sugime Masanao by Daniel Morales, the Mexican Go Association’s treasurer, as acknowledgment of their visit. -Paul Barchilon, E-J Youth Editor, with Emil Garcia and Sid Avila. 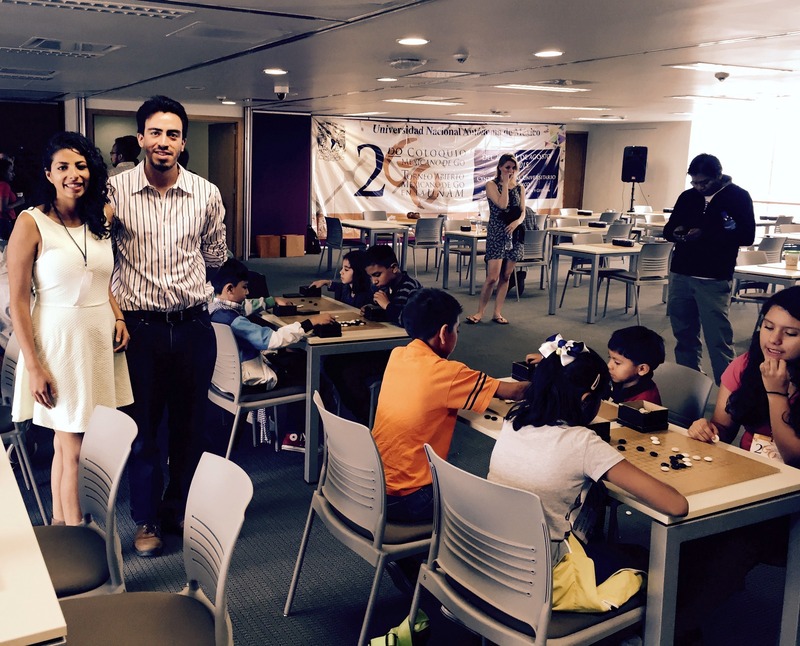 Just over three dozen players players from eight countries competed in the 17th Ibero-American Championship tournament held at the Cuban Go Academy in Havana from October 9 to 11. 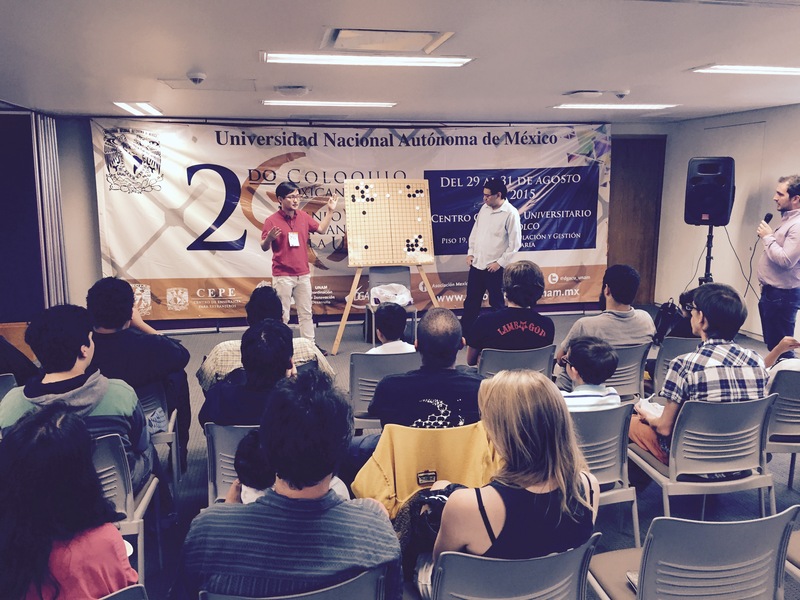 Hisao Uyama 7d (Brazil) won first place; Fernando Aguilar 7d (Argentina) finished second and Santiago Alvarez 5d (Cuba) was third. “It was a nice occasion to foster international friendship through go,” Aguilar told the E-Journal. The field included 19 Cubans and 18 players from other nations. John Harriman 2d (US) finished 10th with a 4-2 record. Other US players competing were Bob Gilman and Tania Tadakia. 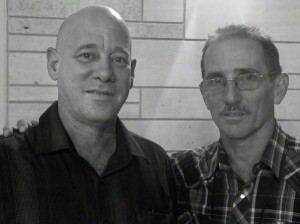 High officials from the Cuban Ministry of Sport attended the event, and it was covered on Cuban television. 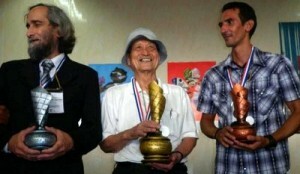 photo: (l-r) Fernando Aguilar, Hisao Uyama & Santiago Alvarez. 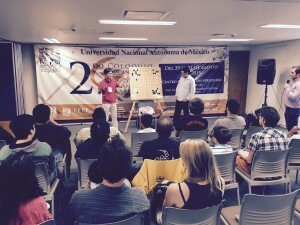 Three U.S. players will participate in the 17th Ibero-American Championship Tournament October 9-11 in Cuba, where leading Latin American players will compete to determine a champion. Last year in Quito, Ecuador there were 47 players of all levels from eleven countries. Besides Latin America, players also came from Korea, the United Kingdom and the U.S. “Havana is a city rich in history all the way from the 16th century to modern times,” says attendee Bob Gilman, who’s organized several US-Cuba exchanges. “I am eagerly looking forward to playing and extending my relationships with Latin American players.” There is information about the tournament here, and Gilman says people wanting to learn more are welcome to write him at bobgilman.aga@gmail.com. 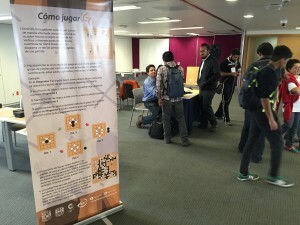 The third and final day of the Mexican Go Congress began on Monday with round 5 of the Mexican Open, then during lunch Myungwan Kim 9P lectured on manipulating the surrounding board situation to prepare for crosscuts. A well- timed forcing move that may be bad locally because it seems to erase aji or makes an ugly shape can be perfectly situated to cause your opponent to collapse at the end of a crosscut sequence if you have made sure to read it out correctly. After the 6th and final round, Kim reviewed the top-board game (right) in which Congress director Emil Garcia finally managed to triumph over defending champion Abraham Florencia. Pictured in the lower right corner is a variation (not the real game) showing white collapsing after inappropriately choosing the small avalanche when the ladder is unfavorable. - report/photos by Steven Burrall; photo at left: Newly-crowned Mexican Open champion Emil Garcia (right) gets a teaching game from Myungwan Kim 9p atop the pyramid at Teotihuacán. The second day of the Mexican Go Congress kicked off on Sunday with a children’s 13 x 13 tournament (right), and Mexican Open rounds 3 and 4 occupied the late morning and early afternoon, followed a lecture by Myungwan Kim 9P on handling crosscuts (left). Kim showed two recent games of Lee Changho’s in which Lee lost early due to not handling crosscuts as well as his younger opponents. Kim explained that the new generation of professionals receives much more in-depth training in reading out long and complicated sequences than was the case 15 years ago. 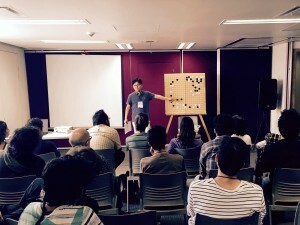 Kim said that this was the most important single lecture topic for two reasons: handling a crosscut correctly may often mean the difference between establishing a superior position or completely collapsing, and learning to handle them requires practice of the reading skills that one should be applying constantly other aspects of the game. 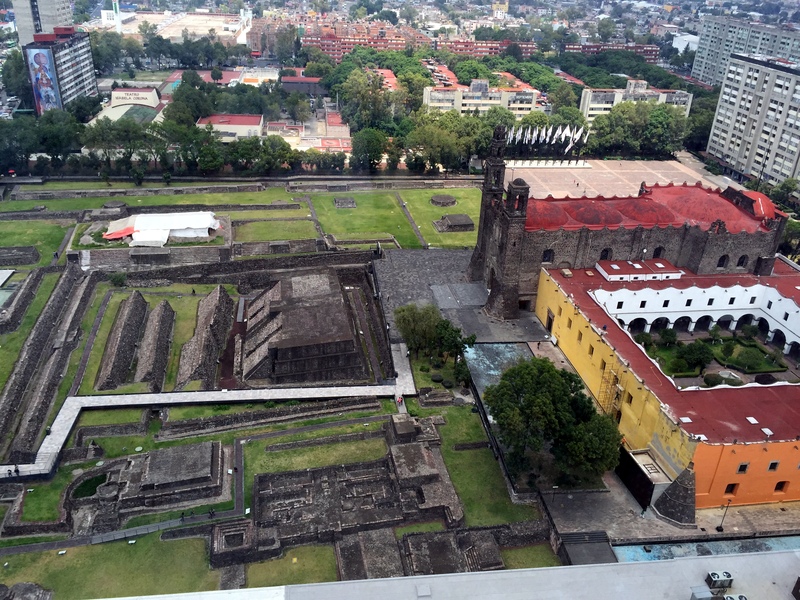 The Congress concludes on Monday with a final day of activities. Report/photos by Steven Burrall; photos: (right) TD’s Emil Garcia and Daphne Rios supervise the children’s 13 x 13 action; (left) Myungwan Kim 9P lectures on the crosscut.